This April we've got a tasty treat for you. 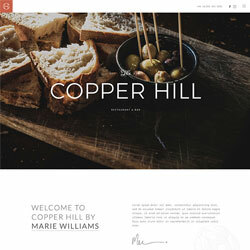 Our new theme for Joomla and WordPress Copper Hill presents restaurants or any other business in an open, generous layout. It comes with new YOOtheme Pro 1.5 features, like an enhanced Description List element and a completely overhauled Offcanvas and Modal navigation. Fixed image sections and playful background illustrations mix up the light layout. As usual, this month's release comes with its own style. It is light and without much embellishment. 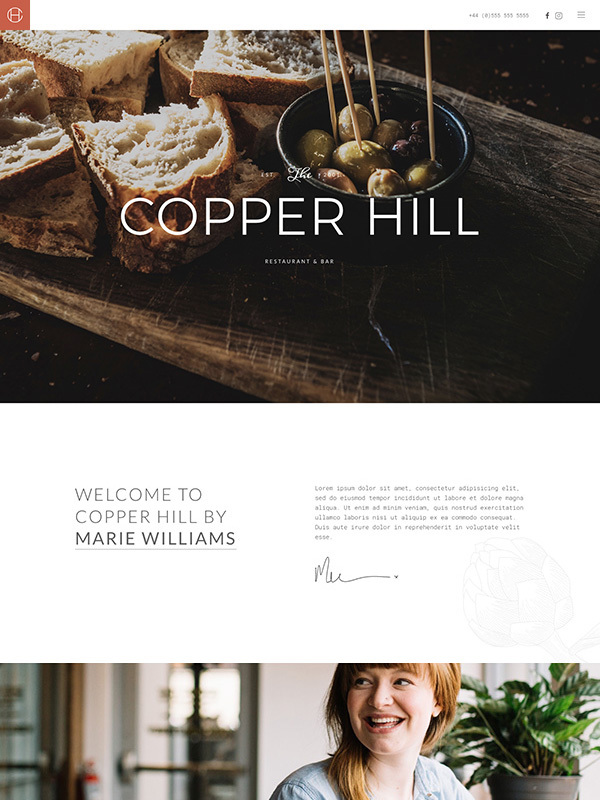 However, the monospaced typewriter font, copper color and detailed divider icon add a rustic feel, which is why the style fits perfectly for the kind of countryside restaurant theme that we chose for this one. Handmade background illustrations amplify this impression and give the theme an individual touch. The vector images are provided with the theme, so that you can use them yourselves without any restrictions.